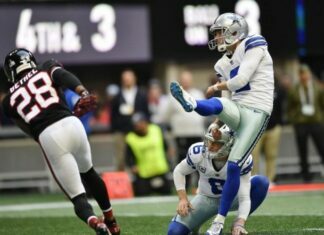 After last Sunday’s 24-13 loss to the Seattle Seahawks, Dallas Cowboys coach Jason Garrett said that there wouldn’t “be any dramatic personnel changes. 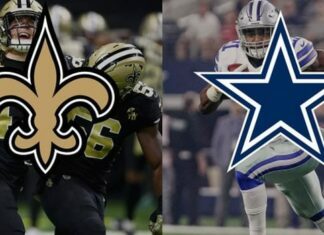 We’ve just got to get back and get locked in and start finding ways to move the ball, be efficient and productive offensively.” Considering running back Ezekiel Elliott’s performance, who rushed 126 yards with 16 carries, many argued that Zeke needs more carries in order for Cowboys’ offense to improve. Elliott doesn’t agree, and he doesn’t plan on asking offensive coordinator Scott Linehan for more touches. His opinion is that Dallas doesn’t need more of his carries, but a rather better execution and not allowing opponents to get ahead early in the match. In the season opener, Cowboys were down 16-0 against Carolina Panthers before scoring their first points, managing to lose 16-8 at the end. In their second loss against Seattle Seahawks, they were down by 18 at one point. This seems to corroborate Elliott’s opinion. Zeke was also critical of his own performance, saying that he needs to do a better job of helping his teammates. He cost his team one touchdown against the Seahawks when he ran out of bounds and had a fumble that could have potentially led to another TD. The team executes running game very well, resulting in Zeke being tied NFL lead in rushing with 274 yards. Considering the limited amount of carries makes this achievement even more significant. What seems to be hamstringing Dallas’ offensive is lack of the passing game. 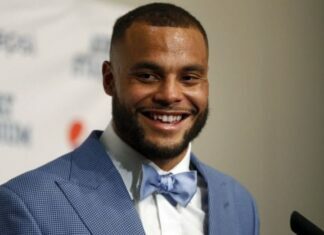 The team’s quarterback Dak Prescott had passed for less than 200 yards, continuing his streak from the last year. Looking at the previous 11 games of the 2017/2018 season, in nine he threw for less than 200 yards. This had led the team to be second to last in passing yards in the league. Despite all this, the management remains confident that the quarterback will manage to iron out all the kinks on the offensive end as the season progresses, despite him having more yards per rush (6.0) than per pass completion (5.66). With a 1-2 record, the squad desperately needs him to improve as their season is off to a bumpy start.